Maple Syrup, Blue Jays, Poutine, Elk, Polar Bears, Tim Horton’s, Ryan Gosling, Avril Lavigne and Niagara Falls are all things that one associates with the wonderful state of Canada. I must admit it has been on my bucket list for a long time but has eluded my well worn travel itineraries for years. This year a serendipitous juxtaposition intersected my desires to indulge both the intricacies of Canadian culture with my professional life. 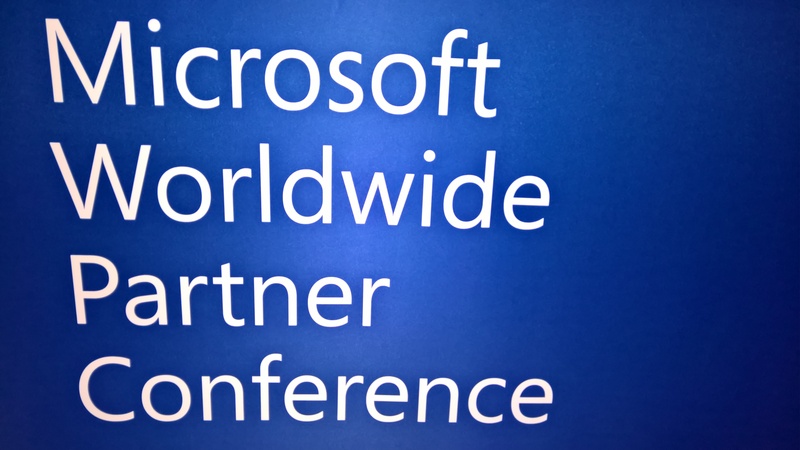 That little gem of chance was by virtue of the Microsoft Worldwide Partner Conference (WPC). 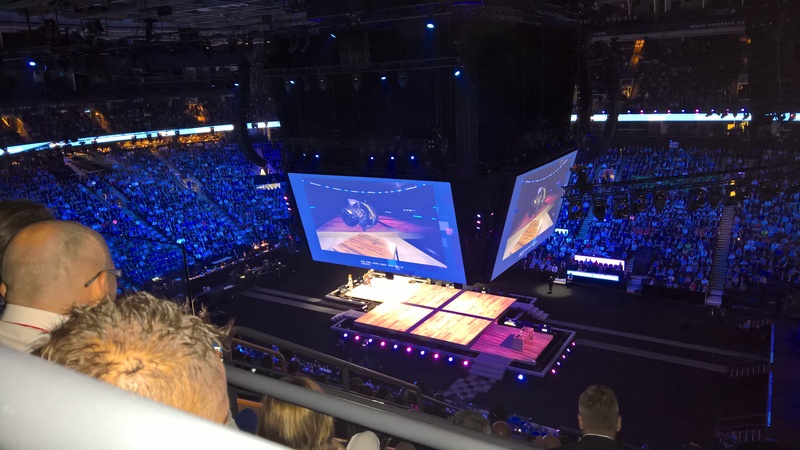 This year the Quorum team was to be a first time attendee to WPC to get the lowdown on the Microsoft strategy straight from the horse’s mouth. We were not alone on this expedition of discovery, we had in tow our strategic partners in crime the Antares team who joined us for the ride. For those that have never attended the WPC event is the biggest kick in the conference circuit calendar. 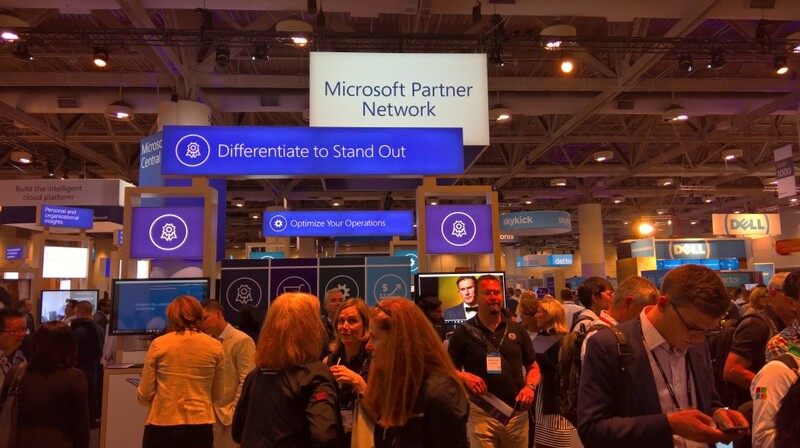 Over 15,000 Microsoft partners from all disciplines and locations across the world, all descend into one spot to share their week and stories with other partners and the greater Microsoft team. It is at events like this that one gets an understanding of the scale and breadth of contribution that the Microsoft “machine” makes to the global IT ecosystem. It is a sight to behold sitting in an auditorium watching the world’s best and brightest stars in IT, talk about how they make a difference with the things that they do. 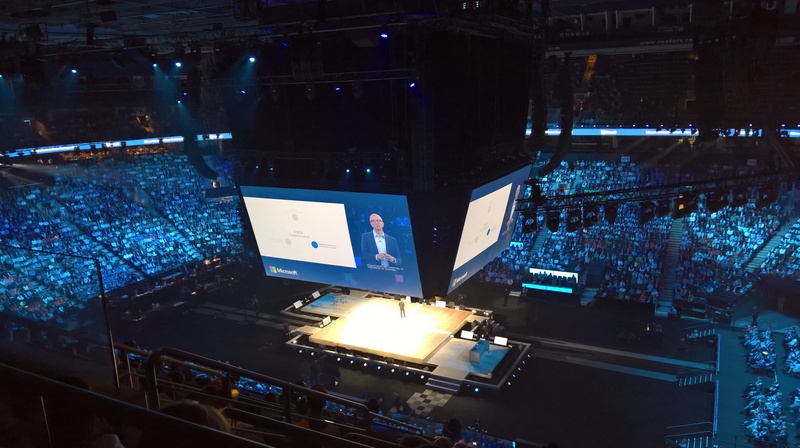 Kick off for WPC was courtesy of CEO Satya Nadella, who launched proceedings with his key note delivery which was clear and terse as it addressed the eager partner audience. Microsoft under his guidance has become an organisation that is now open to change and co operation. Under this new mantra, there has come a wealth of opportunity for Microsoft and the IT landscape that it oversees. The new world order according to Nadella, is that Microsoft will be a relevant part of any IT landscape where it is based around Apple, Google or Linux. This speaks volumes about the psychological and operational barriers that were overcome internally at Microsoft to realign itself to where the world of IT has now rapidly morphed to; a diverse but “inter coupled” arrangement of vendors and technology. Satya delivers the opening keynote in style. A lot of this has been on the agenda for a while, but as I have written before what is changing quickly is the rate of change. It was only a short while ago that some of the above areas were simply “lab technology” with little or misunderstood real world application. But things change and they change fast. This rapid metamorphosis from what could be a gimmick to a viable business tool was clearly demonstrated during the keynotes in the form of an application which combined the augmented reality capability of Halo Lens with the cognitive capabilities of Cortana. It showcased a new vision of computing reality that was once the domain of star wars style science fiction. This new vision of reality has been constructed and is being utilised by Japan Airlines with fervour for its ground engineer training. The demonstration showed how Japan Airlines and Microsoft constructed an application whereby an aircraft engine built in a 3D CAD system in full size could be interacted with on a HaloLens. The operator was rotating and exploding this virtual aircraft engine into separate components as if it were real as viewed through the HaloLens headset. The operator commanded the application through Cortana to show the “fuel system” and the application highlighted the fuel system, fuel routes and then animated the fuel flow through that system for the operator to see. In this example an aircraft maintenance engineer can learn all about an aircraft engine in augmented reality without ever having to leave their location or go near a real engine or maintenance facility for their learning. Forget Star Wars, Augmented Reality is now!! Japan Airlines and Microsoft show us a new world.. It was a strong demonstration that highlighted the very quick transition that has occurred where gaming style technology has progressed to a point where it has the potential to be a very valuable business tool. The applications for this type of technology are endless and I predict that we wont have to wait long to see many applications that provide truly immersive experiences for people. The scope for this is incredible and what I knew as complete make believe in 1977 as a kid by watching star wars movies with its floating mid air translucent hologram style projections (think R2D2 projecting Princess Leia) , has now become augmented reality today. Children who will grow up in the next 20-30 years, may never get a chance to see a printed book. They wont have to read and imagine the stories in their heads in the way that I did (and do), they will actually experience them and live them in a an almost lifelike way through a HaloLens style device. I can envisage how people en masse could potentially get addicted to this alternate world, it could very well end up being the “drug” of the future for many. Another application that was showcased at the keynote that demonstrated the power of cognitive capabilities, was as an example that we are all only too familiar with, the Macdonald’s Drive Through experience. In the new world of the future, the disinterested teenager taking your order over a crackly headset could be replaced by the cognitive capabilities of Cortana. The ability for Cortana to intelligently decipher differing pronunciation, ignore the screaming kids in the back seat, engine noise, understand accents, filter other background noise and then from that melee of mixed inputs to then interpolate your order and process it, was just amazing. We watched the demonstration of this on the big screen, as Cortana sifted and sorted through the data in real time, whilst someone spoke into the McDonald’s Drive Through microphone. I find it so exciting to be able to sit on this cusp where the real world and the augmented reality world with synthetic cognitive technology, are starting to blur. I can only imagine what dreams will come true in the near future with technology like this, I forsee it getting stronger every year at an exponential rate. 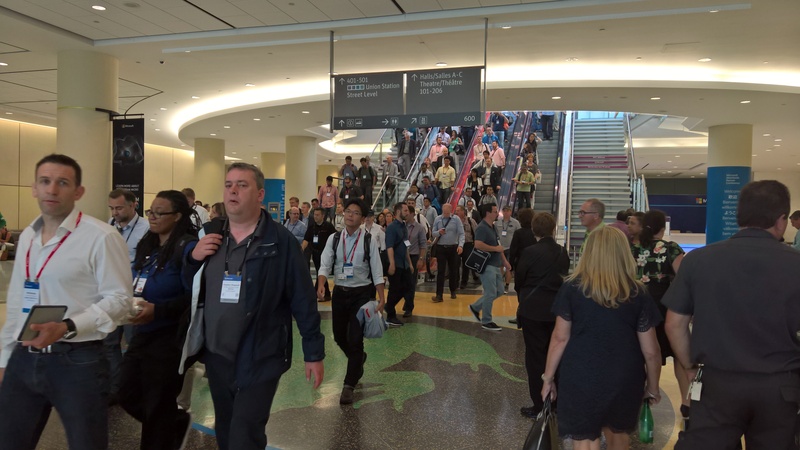 After Satya Nadella’s keynote we all broke away to attend the myriad of sessions which WPC always seems to offer. I made a point of selecting sessions that were interesting, different and not the usual technically slanted type of session. One of these sessions was run by well know entrepreneur Jo Burston, who is now championing the cause for female entrepreneurs through her Rarebirds organisation. Jo talked about how female entrepreneurs are on the increase and are looking at how technology can help them build a flexible and agile IT operations model that allows their business to operate from anywhere and can scale. Some of the stories that Jo spoke of were so inspiring. She told of amazing women from as young as 13 building multi million dollar businesses from zero in a short space of time. It was great session with some wonderful case studies and Jo Burston’s support for these amazing women will ensure that many more of them will go on to even greater heights. Another great session was run by US TV personality Carol Roth, who talked about how to build the perfect elevator pitch. Carol was funny and articulate as she guided us through the process of creating a great elevator pitch. In this ever fast paced world, a minute with the right people may be all you have and you really need to make it count. Carol showed us some strong and not so strong examples of elevator pitches and it was amazing to see the difference between a good one and a bad one. Carol’s recipe for success has some key elements that we should all use in our repertoire. These are describing Who you are, What you do, Why you are unique, What is your goal and Why it matters? Along with the above you need to add Confidence, Authenticity, Overcome objections, Avoid jargon, Use statistics, Tell a story, Define your secret “sauce” and don’t forget the all-time favourite WIIFM (What’s In It For Me!). Take the above into consideration and you will have the recipe for elevator pitch success. I enjoyed Carol’s session it was well delivered. 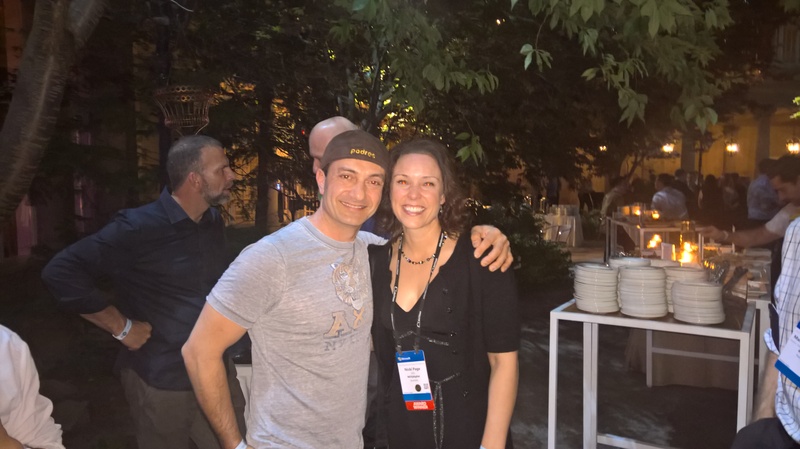 In between sessions at WPC is just as much fun and as important as the sessions themselves. In between some of our sessions we managed to get an audience with Microsoft Managing Director Pip Marlow who listened and provided some guidance on how we can further our Microsoft relationship. 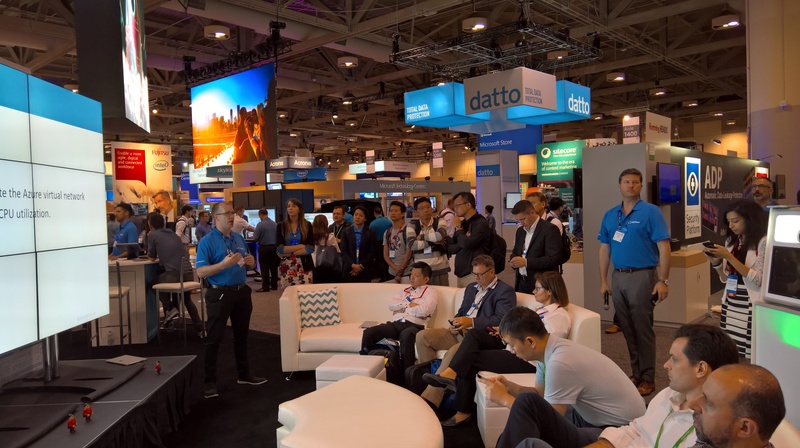 Other interesting people that we bumped into in our travels were the BitTitan team, who walked us through the value of their offerings in supporting migrations to the cloud. The BitTitan team were showcasing the tools with a live demo at their booth during our visit and it was great to see it in action. I would highly recommend this toolset to anyone who is looking at Azure cloud migrations and or deployments. The bustle of the Expo hall at WPC..it does get busy!! Chilling out with the BiTitan crew, learning about their products. Thanks for the great presentation Darrell! The official conference sessions are only one part of the WPC experience, with the other part being the “other WPC conference sessions” which take the form of evening social gatherings. 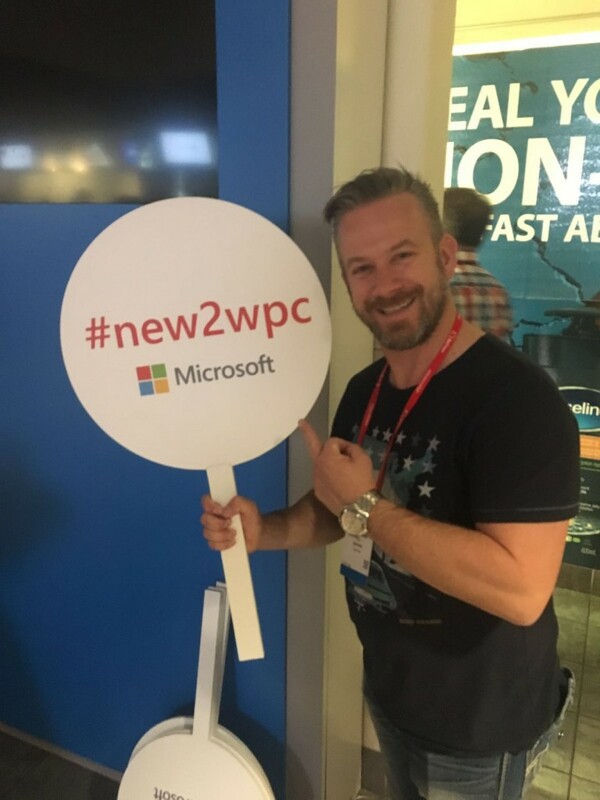 The WPC extra curricula itinerary is just as busy as the daytime agenda, with partners, vendors and Microsoft all hosting gatherings. One of the highlight events was a trip to Niagara Falls which was hosted by the Microsoft Australia team. Niagara Falls has always been on my bucket list and it was an amazing sight being up close to a wall of water that flows 6 million cubic feet per minute or 2,400 cubic metres per second. 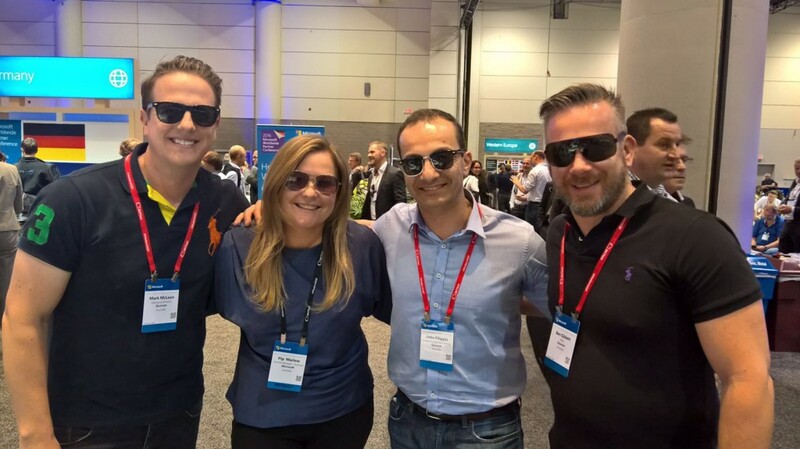 All roads lead to WPC: Ben Giblett (Quorum) shows the first timers how its done at WPC! 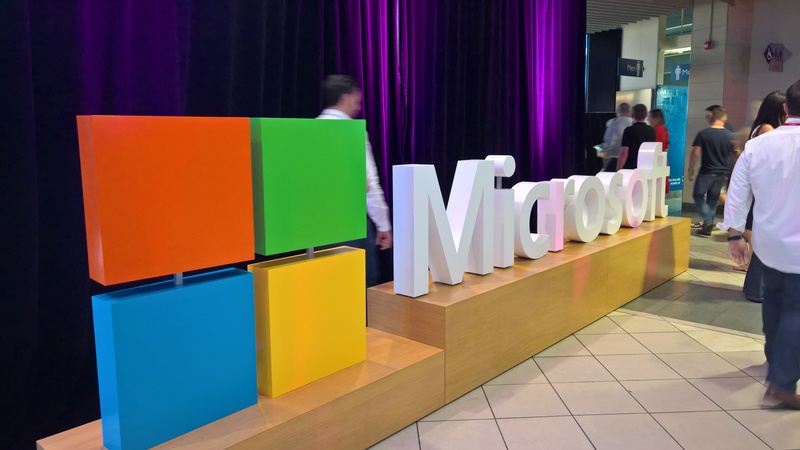 The other bucket list item for me was the big entertainment event on the last night that was organised by Microsoft. That event took the form of a Gwen Stefani concert in the Air Canada Centre in Toronto. This was the first time that Gwen had performed live in 7 years and it was such a great show, she played songs from her No Doubt days right through to her current album. It was a vivid experience that enthralled all who attended, whether they were Gwen Stefani fans or not. It was a busy and massive week, with the days providing as much engagement as the nights. It was a visceral experience that pounded all senses and expectations and I suspect that next year’s WPC in Washington DC will be just as big if not bigger. I hope to see you all there….!! AI skills in Australia – Are we keeping up ?